Dental Implants – An implant involves many parts: implant, abutment, and crown. The implant is the actual screw, which is placed in the bone for stability. The crown –the part that looks like the actual tooth – is what sits on top of the implant, via the abutment. Most dentists are only able to place the crown and abutment, after the specialist has placed the implant. 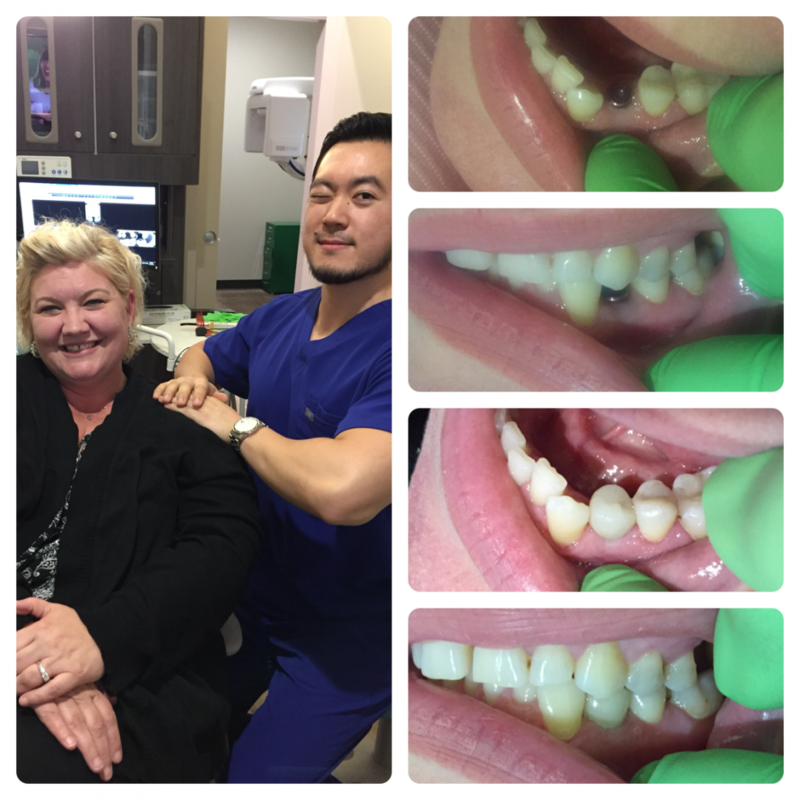 But because Dr. Seo gained extensive surgical experience at his residency, he is able to place the implant itself. 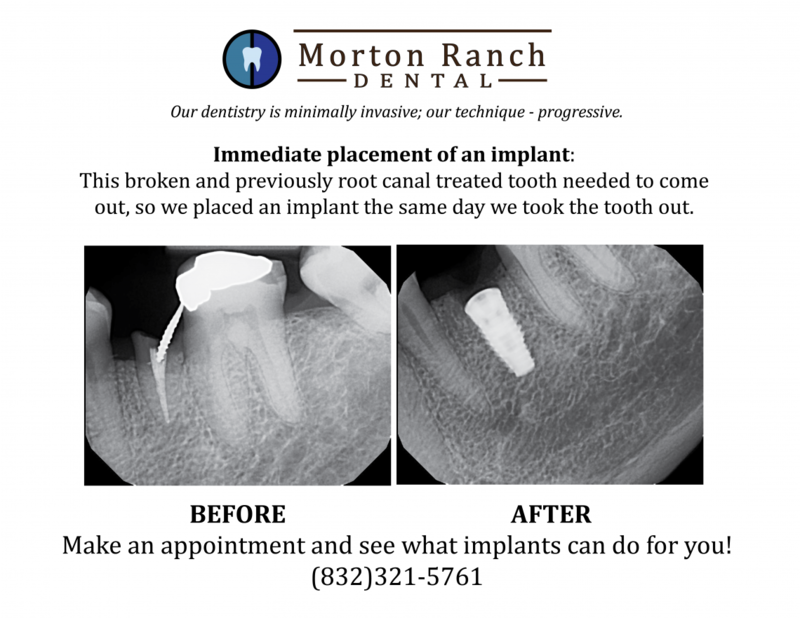 Make Morton Ranch Dental your one stop shop for implants! Check out these cases to see if we can help you! Our patient had a three failing crowns and root canals in the front. 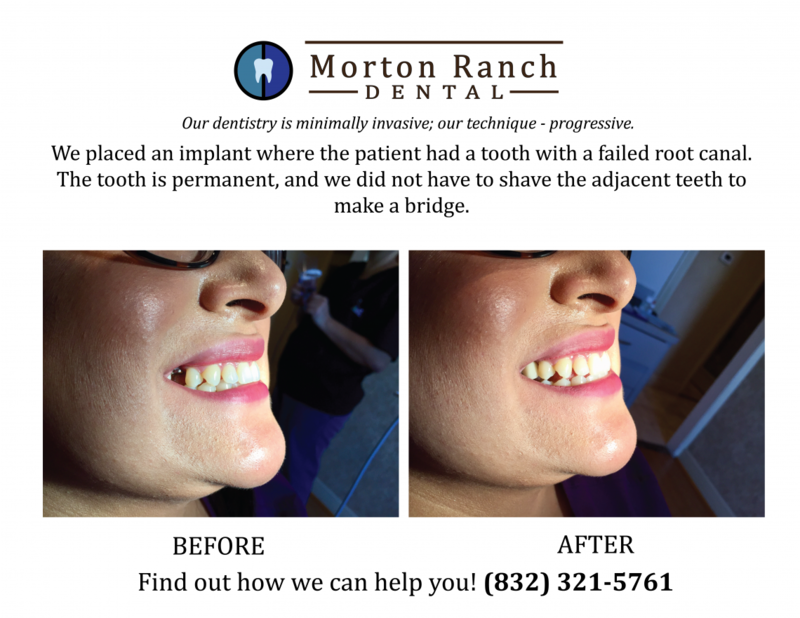 He wanted an option where we could permanently place new teeth in the front to restore esthetics and function. We placed three implants in the front and gave him three new teeth so he could chew and smile without worry. 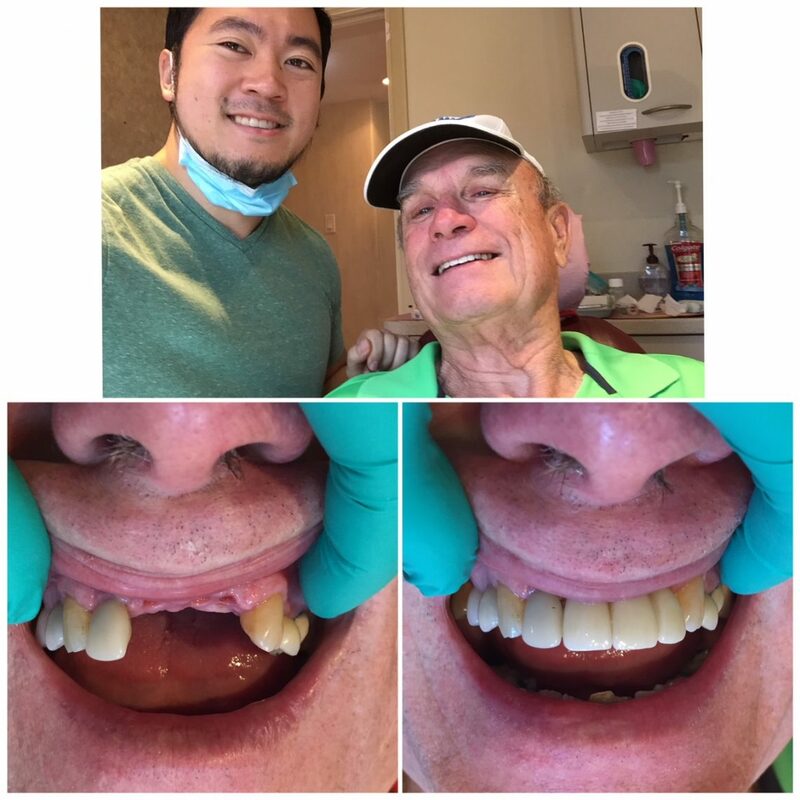 Our patient was missing two of his front teeth on the side and wanted a permanent option to replace those teeth. 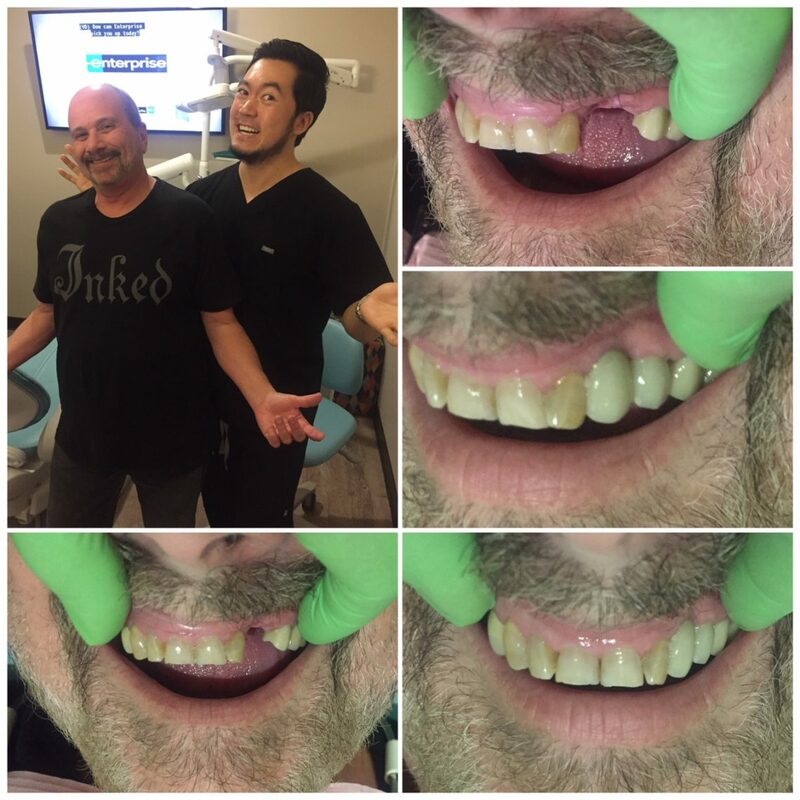 Implants were a straightforward way to give him what he wanted, and now he’s able to smile and talk without any issues!